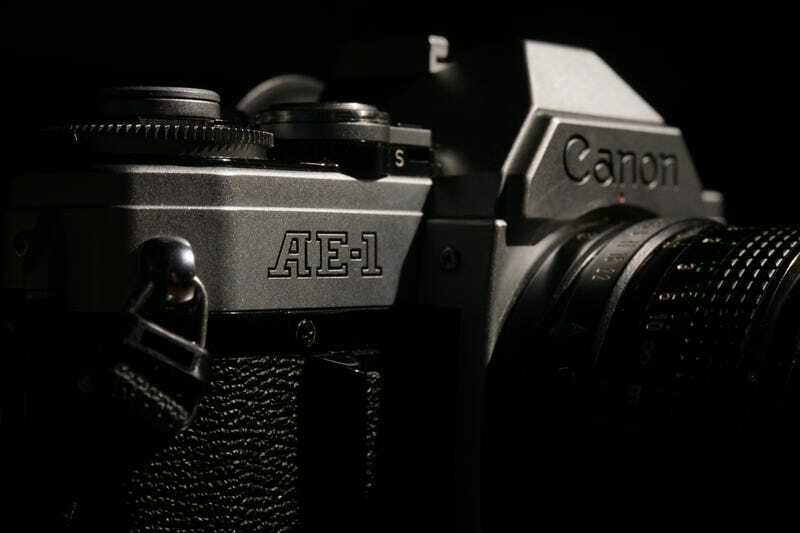 Saw an auction ending on saturday morning for this Canon AE-1 in unknown condition. Decided to take a chance on it since there was 4 lenses included. It has the Canon 50mm F1.8, Rokinon 28mm f2.8,Tamron ADAPTALL 2 28mm f2.5 with an fd mount adaptor, and a Rokinon 80-200mm f4.5 Macro lens. Plus a camera bag and a flash. $76 dollars for the lot! Replaced the battery in the camera when it showed up and the meter appears to work and the shutter fires so I’ll see how pictures actually turn out. I like the way the Canon lens feels a lot, I’ve got an adaptor coming to try it on my a6000. UPDATE: Winder lever has jammed. I’m also a moron, the AE1 winder spins in the opposite direction of the Bessamatic and I didn’t realize that until after I took 30+ pictures. Oh well I’ll see if I can find a cheap one on ebay that works. Or possibly open this one up see what’s jamming it. I like the lenses with my a6000 though. Focusing without the split ring on the 50mm is taking some getting used to. Might try the viewfinder instead of the monitor next time. Focusing with the Macro is easier.